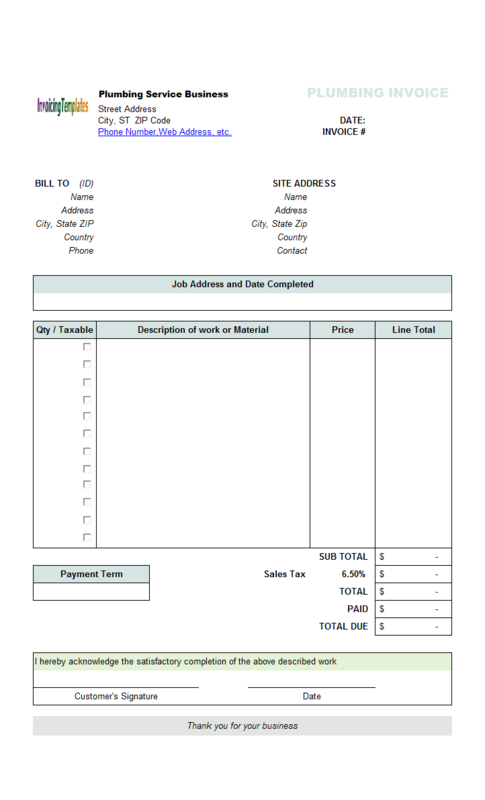 This sample plumbing contractor bill template in Excel format features business owner information, client information, site address, job address and date completed. 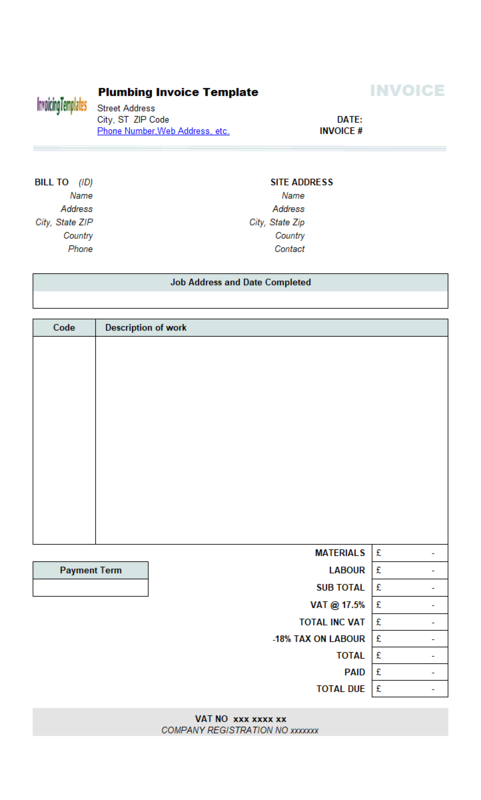 The two columns on the invoice body are "Code" and "Description of Material/Work". 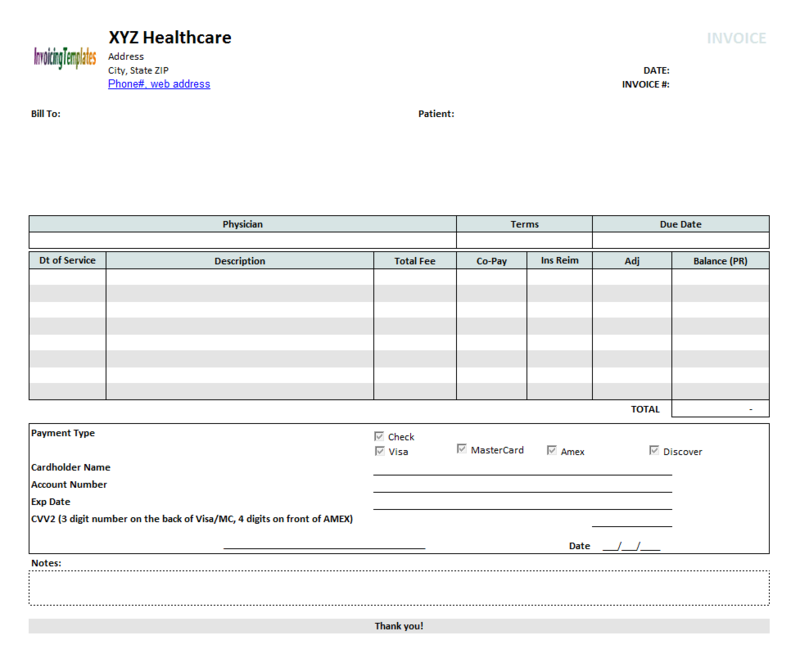 c2008 now includes the customized invoice template for the latest version of Invoice Manager for Excel. This is what you will see when you open plumbinginvoicetemplate.xlsx. 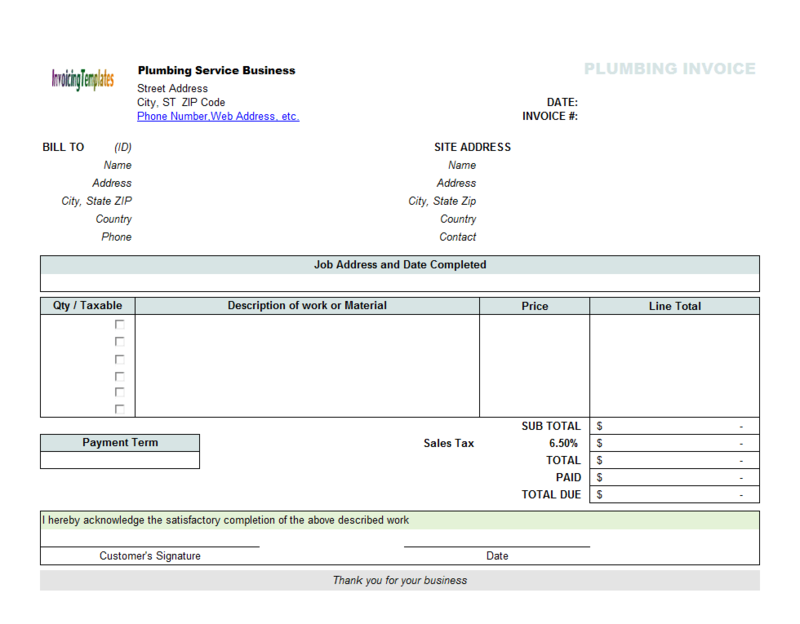 This plumbing contractor billing form does not use the Quantity and Line Total fields as found in general Excel invoicing samples available here on InvoicingTemplate.com. All these two columns are moved out of the printable invoice form. Since our invoicing templates are in Microsoft Excel format, you can easily exclude a field from printing by moving it out of the print area. To move a field, you first need to unprotect the Invoice worksheet. 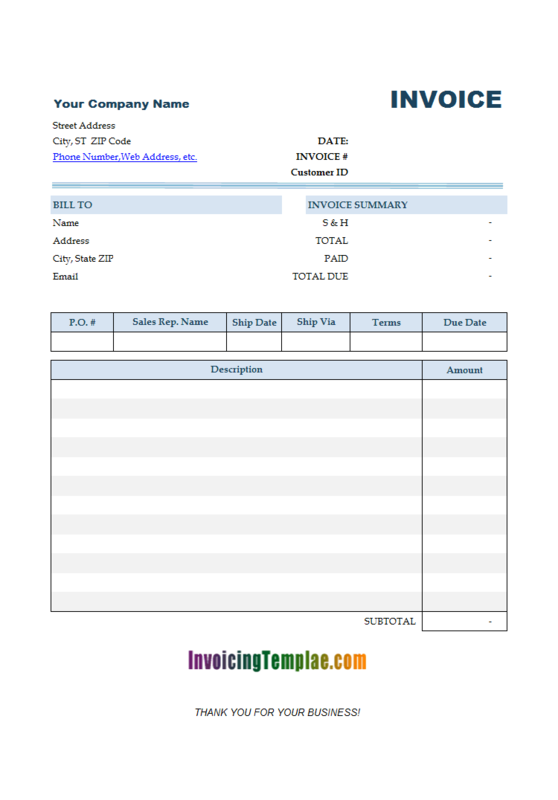 The template has a default logo image on the top of the invoicing form. This is a placeholder of your own logo image. 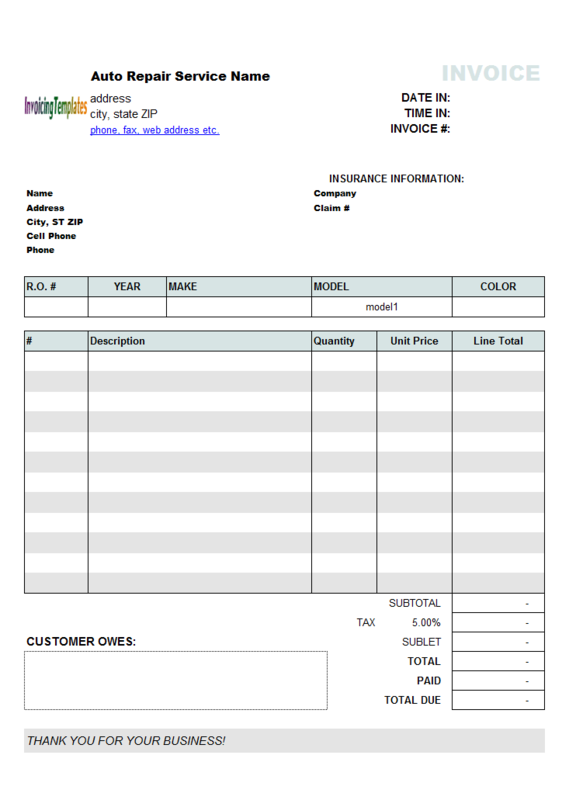 To replace or customize it, you should firstly switch the Invoice worksheet to design mode. Whether you're doing some plumbing work on the side or you own your own plumbing business, you'll need to be able to fill out basic business forms. 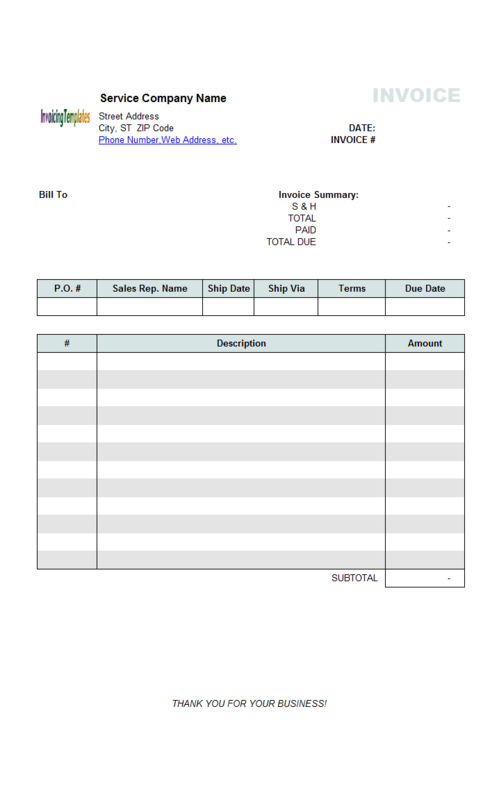 One of the most important forms in any business is the ability to fill out an invoice correctly. 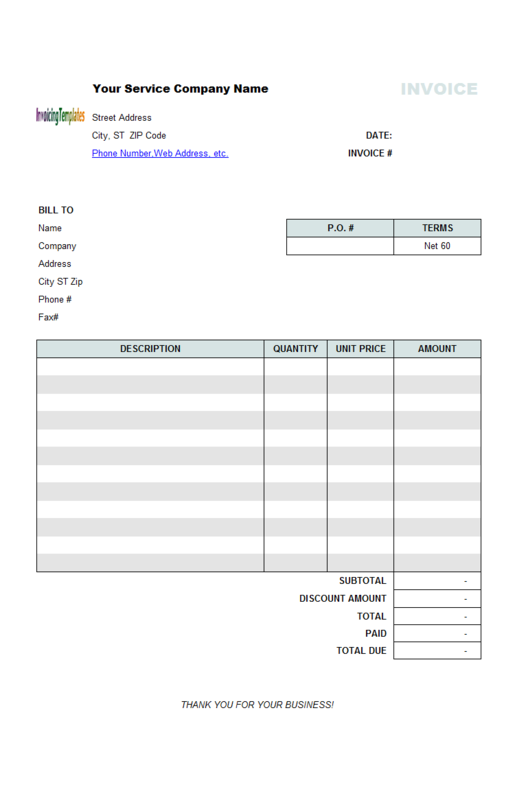 This free blank Excel plumbing billing template and plumbing receipt template helps you create professional invoices in an easy and quick way. Both the freeware edition and the Invoice Manager for Excel (namely Uniform Invoice Software) are available for free from the download page. 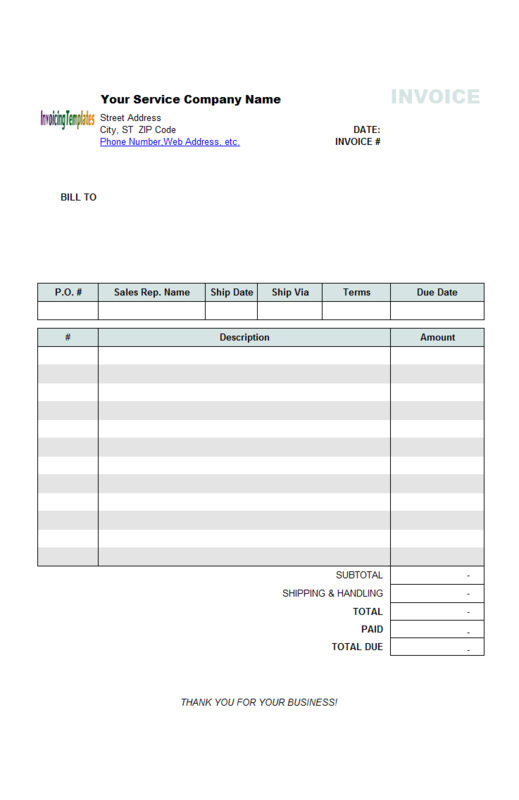 Once you filled in the Excel invoice form, you can either print it, or provide an electrical copy via email. 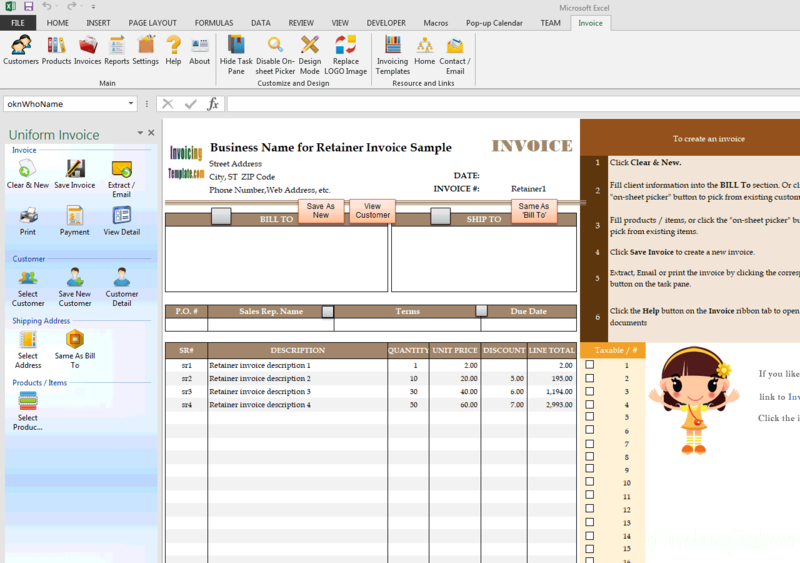 Excel provides tools for you to convert your invoices to PDF or other formats. 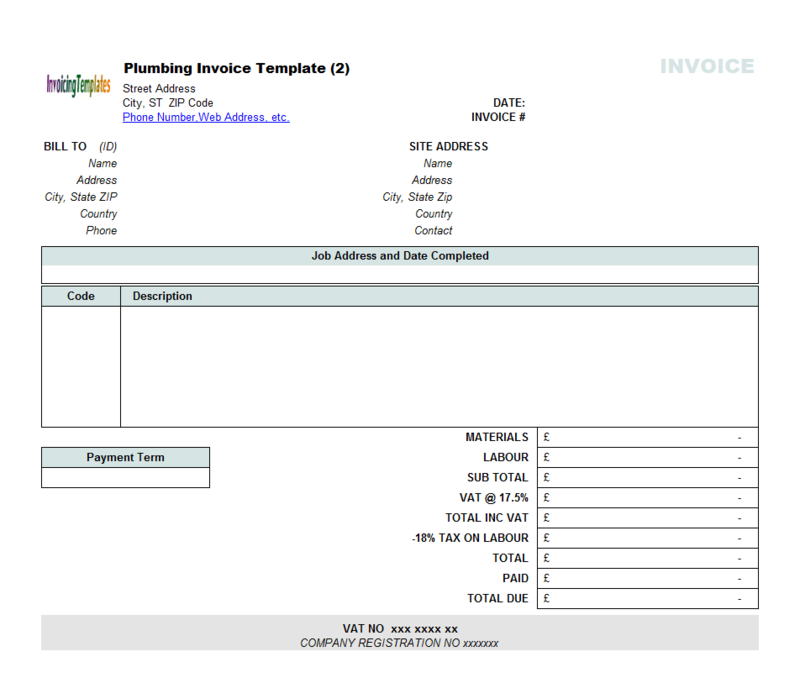 If you use the Invoice Manager for Excel (namely Uniform Invoice Software) version of this Plumbing Contractor Billing Template, the "Code" columns allows you to fill in material and service descriptions without typing in manually each time. You can either pick it up from a pop-up box or type in the corresponding code. 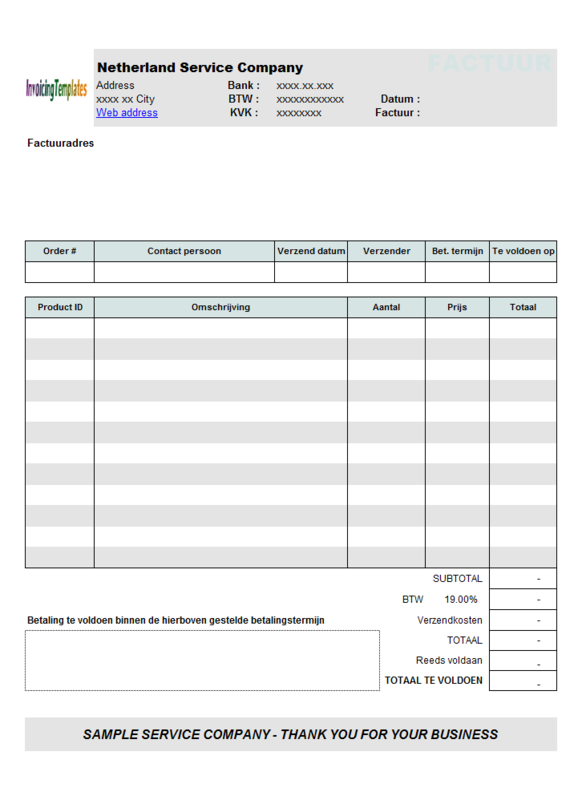 Unlike the default template shipped with Invoice Manager for Excel (namely Uniform Invoice Software), this service billing format designed for VAT taxes. The computable fields available on the bottom part of the invoice form include: Materials (the cost for materials and parts), Labor, Subtotal (Materials + Labor), VAT @ 17.5% (subtotal * 17.5%), Total including VAT, "-18% tax on labour", Total, Paid, Total Due. As you can see we've used a number of custom fields here and used Excel formulas to create and define the relationship of these fields. This billing template was designed with UK (United Kingdom) business in mind so that the costs and prices cells are formatted using UK currency symbol. 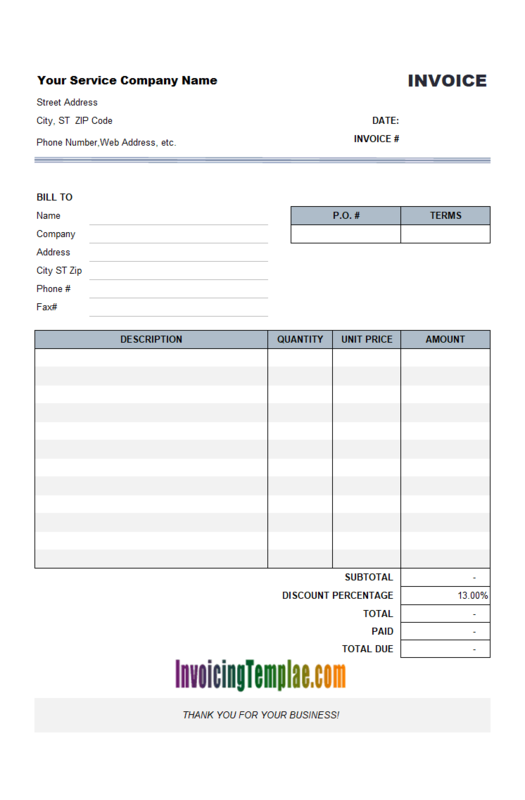 If you like this invoice layout but need to use a different currency symbol, you can easily change it. 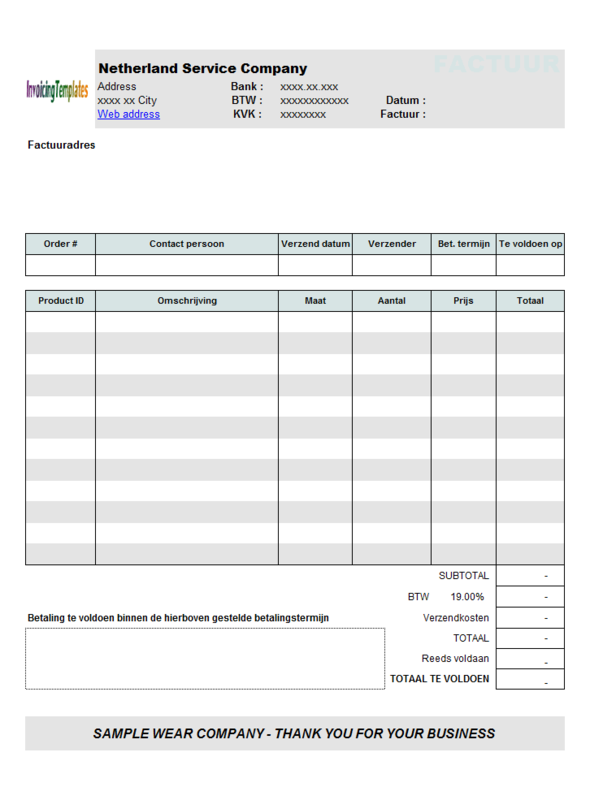 Like other form designs here on InvoicingTemplate.com, Plumbing Contractor Receipt Form is free (offered to you at a price of 0.00USD). It works on Windows XP and all newer versions of Windows, and Excel 2007, 2010, 2013, 2016 or 2019.